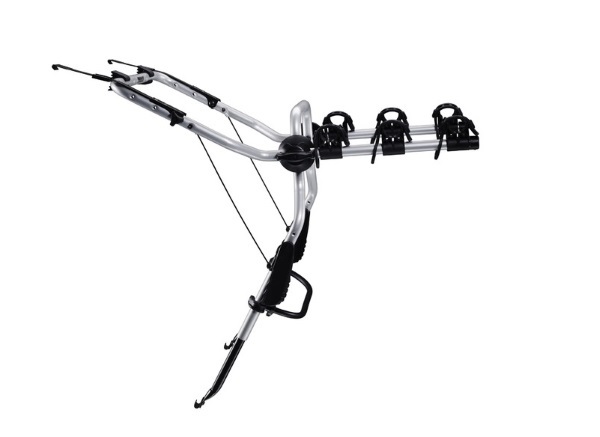 The Thule ClipOn is a strapless cycle carrier that mounts on the rear of the car using a simple mounting system. Available in two models (9103 & 9104), one for estate cars and one for hatchbacks. Both models can carry 3 bikes. 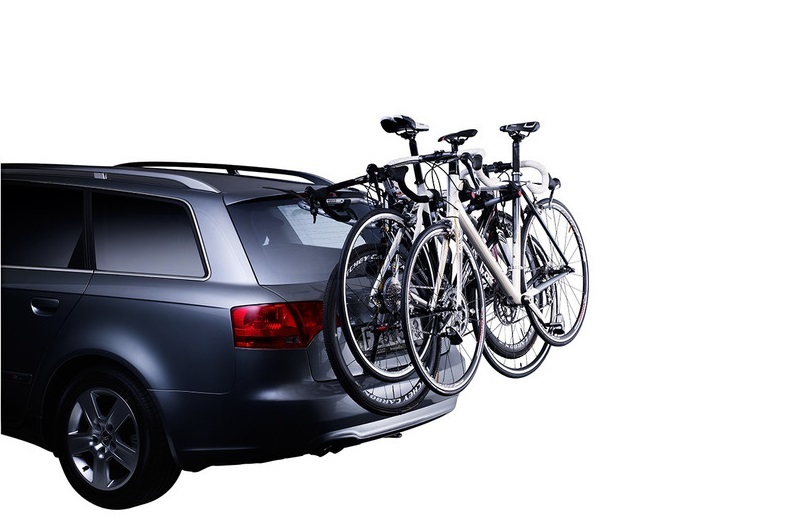 Please note that this is not a universal fit and you must check it's suitablilty for your vehicle using our bike rack fit guide. Compact, folding bike racks that are stable and safe and easily attaches to the tailgate on hatchback & estate cars. These easy-to-use racks can carry up to three bikes. They fold flat for storage with simple and quick snap mounting without the use of straps. Boot lid can be opened with the ClipOn carrier in position. Soft, rubber coated bike frame holders and a low-placed stay protect the bike frames and the car. For a bicycles without a crossbar, an additional adapter '981' is required. All parts in contact with the car are plastic coated. Note: In most cases the bikes on this rack will obscure lights or registration plate - optional Thule Lighboard 976 may be required. 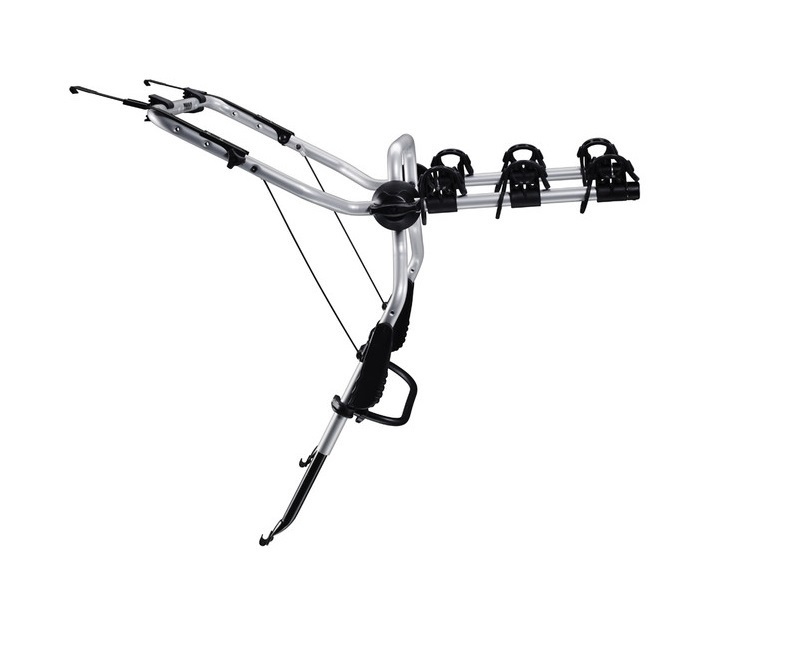 Note: Please note that the Thule ClipOn 3 9103/9104 is not a universal fit. Please use our bike rack selector to check compatiblity with your vehicle. The ClipOn 3 carrier comes in two versions (9103 and 9104) having different tube diameters fitting different car models - one for estate cars, and one for hatchbacks. 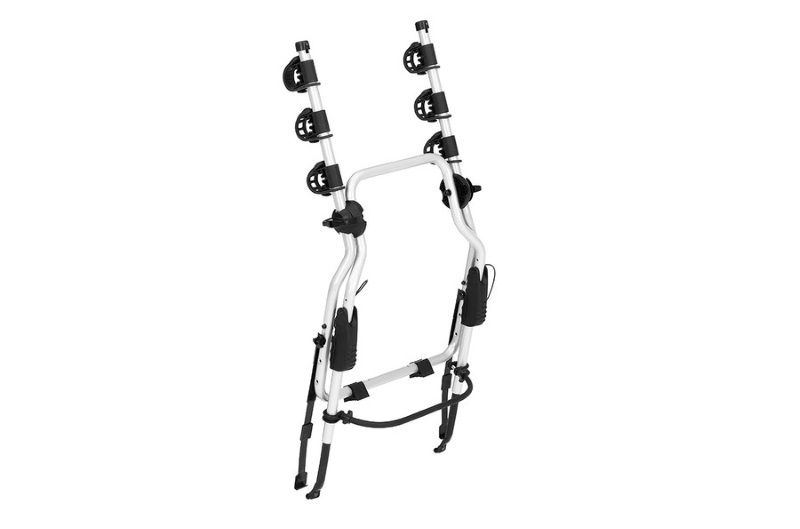 * IMPORTANT NOTE - Video may not show the current model for the Thule ClipOn 3 9103/9104. We offer a delivery service for the Thule ClipOn 3 9103/9104 throughout the UK & Ireland to home and work addresses. 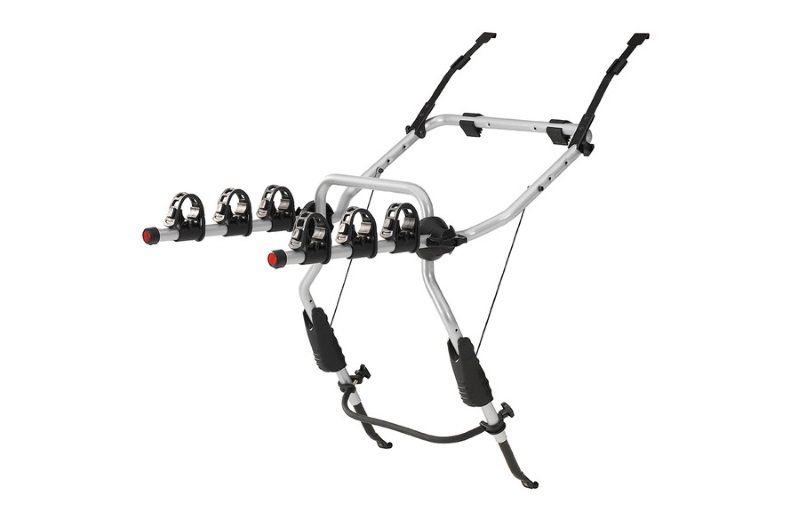 Buy a Thule ClipOn 3 9103/9104 online from our website and collect from one of our nationwide branches.